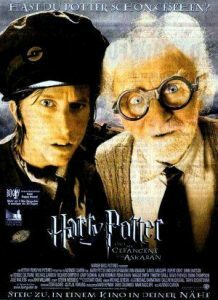 Most kids of the 90’s grew up in the Harry Potter era. They dreamt of receiving the Hogwarts letter on their 11th birthday, or heading down to Kings Cross Station to catch the Hogwarts train, or shopping for wands at Ollivanders and drinking Butterbeer at Hogsmeade. Even years after the last book of the series was penned down and the last movie premiered, the Harry Potter fan base just grew multifold. So much so, that its author JK Rowling penned down another book and they premiered a play on the new book. While we may have seen the movies a million times and read the books cover to cover time and again, there are a few things about the series that you probably didn’t know. 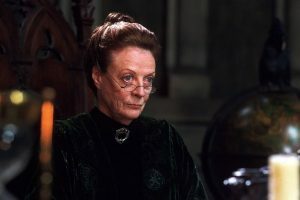 In her days as a student at Hogwarts, the stern Professor Minerva McGonnagall was actually a spirited player of Quidditch and part of the Gryffindor Quidditch team. The proof? A Quidditch trophy in a case which has the initials M.G. McGonagall on it. It only stands to reason that this is why she saw Harry’s potential for Quidditch and urged him to join the team. Remember Stan and Ernie from the Knight Bus? Author JK Rowling later admitted in an interview that their names are based on her own grandparents, Ernie Rowling and Stanley Volant. Rowling’s grandparents were a great inspiration to her, and she honored them by naming the two characters after them. JK Rowling admitted once that she sometimes regrets the fact that Ron Weasley and Hermoine Granger end up together. 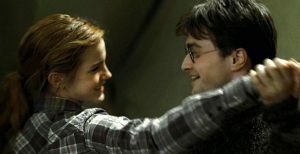 Many feel Harry and Hermoine make more sense as a couple, and Rowling admits that she thought of going down that path as well. 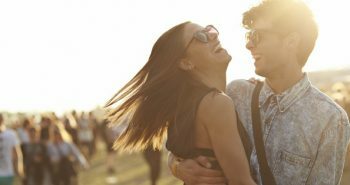 She put Ron and Hermoine together for ‘personal reasons’ but said she sees Harry and Hermoine as a couple, especially when she penned down the scene in Harry Potter and the Deathly Hallows where the two of them are in the tent and Harry supports Hermoine after Ron storms out on them. The chemistry between the two can be interpreted as platonic, but they almost were written as a couple at that point! 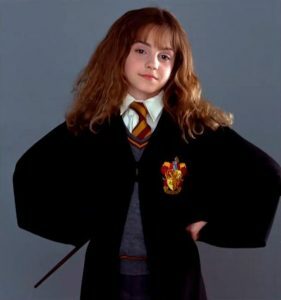 Emma Watson, who plays the role of Hermoine Granger, almost didn’t audition for the series. When the auditions took place in her school, she claims that she hadn’t planned on auditioning, but ending up accompanying her friends to the auditions ‘just for fun’ and tried out for the role of Hermoine. The casting agents were impressed with her performance and immediately cast her. JK Rowling admits that Watson was the perfect fit for the part, and she knew that from the first time she met her. 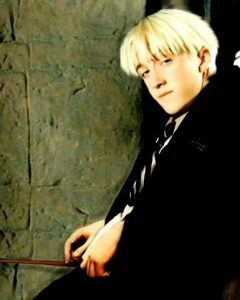 Tom Felton, who plays the role of Draco Malfoy in the Harry Potter series, was the poster bad boy of the series. He managed to make everyone hate him, but you would be surprised to know that playing Draco was not his first preference. He first auditioned for the main role of Harry. He failed to get the part, and then tried out the role of Ron Weasley. He failed again, but his ambition wasn’t deterred. He then auditioned for the role of Malfoy and ended up being perfect for the part. 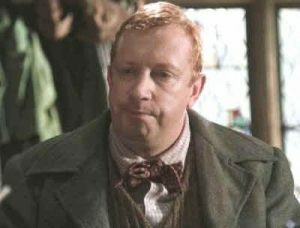 JK Rowling admitted that in the fifth book Harry Potter and the Order of the Pheonix, she had fixated on killing off Arthur Weasley. However, at the last moment, she killed off Sirius Black instead (who may or may not have been killed off otherwise). Reports said that since Rowling allowed Arthur to live, she had to kill off two other characters in Harry Potter and The Deathly Hallows in exchange. 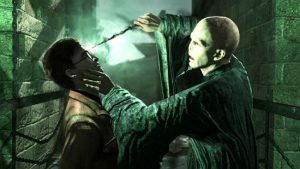 In the Harry Potter universe, pure-bloods (both magical parents) married within themselves to keep the blood line ‘pure’, and thus it stands to reason that in a distant way, Harry and Lord Voldemort aka Tom Riddle are actually related. 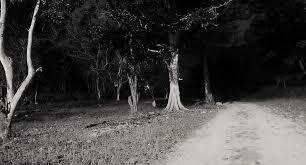 Their common ancestors are the Peverell brothers. Marvolo Gaunt, Tom Riddle’s grandfather, got the Ressurection ring from Cadmus Peverell, while Harry’s father James Potter got his Invisibility Cloak from Ignotus Peverell. This proves that Harry and Voldemort are extremely distant cousins in the series. 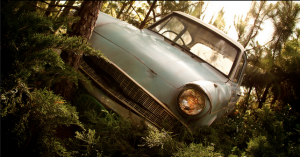 There’s a scene in Harry Potter and the Chamber of Secrets, where Harry and Ron fly a magical Ford Anglia to Hogwarts and end up crashing it into the Whomping Willow. For capturing the perfect scene, over 14 Ford Anglias were completely destroyed. While the magical car remains in working condition in the series, in reality, 14 of those cars were thrown into rubble after the movie ended. 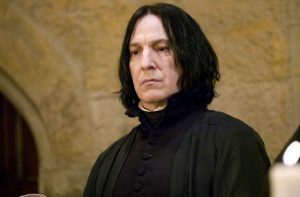 A recurring theme in the Harry Potter series is Severus Snape’s hatred of Neville Longbottom, a student who was timid in the first year but by the seventh year, becomes one of the heroes of the series. We all know that when the prophecy about Voldemort’s demise came about, Snape heard it and immediately went to Voldemort to warn him about it. Voldemort thought that Harry was the Chosen One mentioned in the prophecy and tried to kill him, killing Lily and James Potter in the process. Snape realises that the prophecy could have meant Neville instead, and feels that if Neville was the Chosen One, Lily might still have been alive. 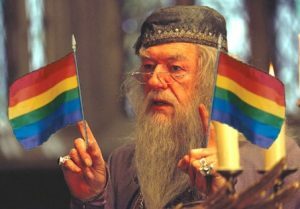 Not many fans realised that Albus Dumbledore, the beloved Headmaster, is actually gay. JK Rowling dropped this information at Carnegie Hall by saying that Dumbledore had a crush on his friend Gellert Grindelwald. When Grindelwald showed his true colors to Dumbledore, he was horrified but his love for him had made him blind to his evil side. JK Rowling’s revelation was met with much praise, and she said that if she had known that she would receive this response, she would have announced it years ago. 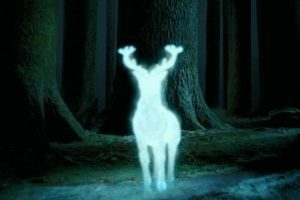 The infamous Expecto Patronum spell which wards off the horrifying Dementors was derived from Latin, and literally, translates to ‘I await a guardian’. Many of the spells in Harry Potter have been derived from the Latin language. The Patronus charm takes the shape of something that the caster has an affinity to, and the charm played a pivotal role in the series. 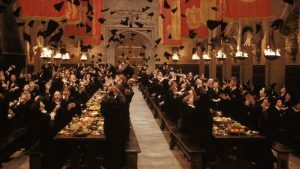 We’ve all wondered exactly how many students attend Hogwarts every year, and how the Hogwarts castle manages to accommodate everyone. It has been revealed that over 1000 students attend the wizardry school every year. And after all, Hogwarts isn’t the only wizarding school in the Harry Potter realm. Goblet of Fire revealed the existence of other wizarding schools of Beauxbatons Academy of Magic and Durmstrang Institute. The magic that Harry Potter cast over us is not one that any fan can forget. The popularity of the series led to many efforts to keep the magic alive. The kids of the 90s who grew up with the series will read the books to their kids, passing the magic on from generation to generation.